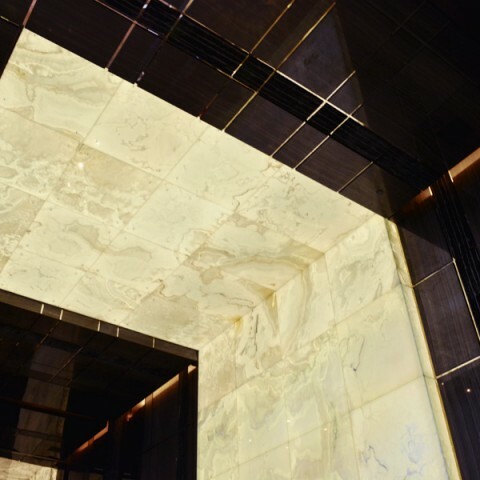 GPI’s work on the Hyatt Houston Park Bar renovation included translucent DURA-Lite™ Thama White Onyx backlit with our Infuse™ LED Backlighting System for the bar countertop, fascia, and back bar. Offering water resistance and 70,000 hours of low wattage LED lighting generating no heat, FLAT-Lite™ custom LED panels were ideal for this installation. From concept drawings through installation, GPI completed this project in less than 60 days. 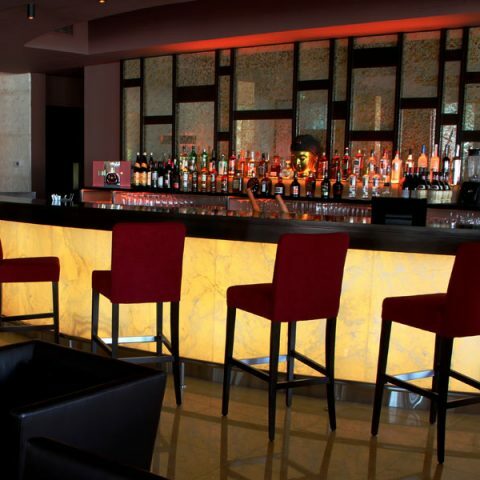 The illuminated bar panels establish a strong focal point in the open space and contribute to the luxurious mood of the hotel bar.